The Grand Junction Police Department is requesting information that will lead to the identification of two subjects involved in a burglary. At approximately 7:20 a.m. on Tuesday, October 28th, an unknown male and an unknown female forced entry into a Coca Cola machine at the Orchard Mesa Laundromat located at 757 1/2 Hwy. 50. The first subject was a white male that wore dark jeans and a dark hoodie with yellow gloves. The second subject was a white female that wore dark jeans and a gray hood with red gloves. 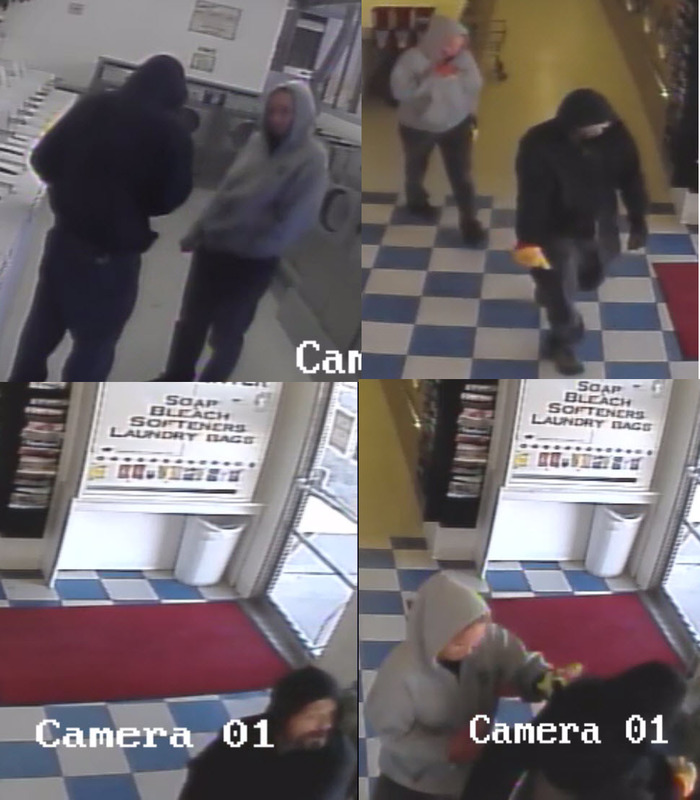 The subjects caused more than $3000 damage and stole more than $300 in cash. A photo of the suspects is included with this blog post. If you know the identity or whereabouts of the subjects involved in this crime please contact Crime Stoppers at 970-241-7867 or by visiting www.241STOP.com. Information reported to Crime Stoppers that leads to an arrest can earn you up to a $1000 cash reward and you will remain completely anonymous. This entry was posted in Crime of the Week and tagged crime stoppers, grand junction police.